The need for thermal management continues to increase in the medical industry. 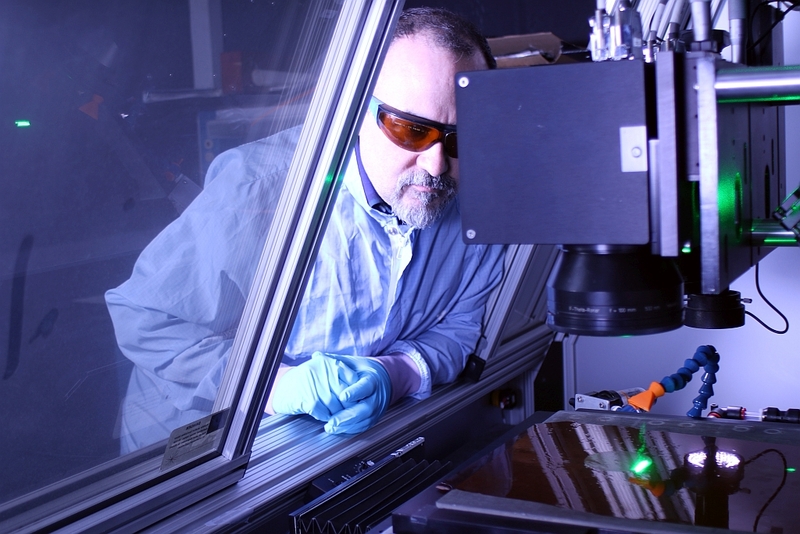 Active thermal management is critical for applications such as patient core temperature management, skin cooling, medical device cooling, and laboratory equipment cooling. Medical device designers need highly efficient and compact cooling systems that can be integrated into their systems, often with the option of battery power for mobility. As noted in Part 1 of this article (February 2018 MDB), cooling medical devices presents unique challenges to the engineers. These devices must be compact, quiet, effective, and often must be placed inside the chassis of the medical system to keep tangled wires and hoses off the floor and out of the way of practitioners. Together, these required features make thermal management in these applications difficult. A variety of solutions including simple fans, liquid cooling, or compact refrigeration systems are being used to meet these challenges. Part 1 reviewed some of the most interesting thermal cooling applications and passive cooling methods. Part 2 now examines active cooling methods that provide additional cooling for direct, air, and liquid cooling using vapor compression. Thermoelectric methods are also discussed. Table 1 lists the most commonly used cooling methods. Heat load, heat flux at the device, ambient air temperature, and facility infrastructure are determining factors in choosing a cooling system design. Systems with stringent temperature requirements, namely when fans and pumped liquid loop systems are not adequate, use either vapor compression (VC) or thermoelectric (TE) systems to manage medical device temperatures. Both TE and VC systems draw power to enhance the heat transfer from the medical device to ambient air and enable cooling levels and heat fluxes that are not possible with passive means. Of course, low heat output systems allowing relatively high temperature ceilings usually function adequately with an above-ambient system to provide satisfactory cooling. Noteworthy: The results rank vapor compression cooling first in the technical assessment of each of the above-mentioned methods because it uses three to five times less power than thermoelectric cooling systems. Fig. 1 – A thermoelectric module. Thermoelectric coolers (TECs) are constructed with p- and n-type semiconductors that are arranged parallel in the thermal path and in series along the electrical path (see Figure 1). TECs use the Peltier effect. This effect occurs when a heat flux is produced at a junction of two dissimilar materials, across which a DC electric current is passed by. When voltage is directed across a device, electrons carry heat to one side (making the other side cooler). When the heat load rises, the amount of current essential for maintaining the correct temperature must consequently rise since the flow of electrical current is required to support the additional heat load. So, the efficiency of TEC devices is fairly low. For all cooling systems, the heat eliminated from the device must be dispelled to the ultimate heat sink (normally to ambient air with a fan). Typical coefficient of performance (cooling power divided by power draw) for a TEC device is in the 0.5–0.2 range. In order to provide 400 W of cooling, the TEC would draw between 800 and 2000 W of power. Thermoelectric coolers can be fabricated in many configurations. They can also be made in small sizes for low-power applications and provide exact temperature control. TECs have limited moving parts (just fans and pumps). Thus, they require nominal service. The TEC assembly can be mounted directly onto a cold plate. It can also be used to chill a flowing liquid. Because of its low efficiency, TE cooling is characteristically used in applications requiring <400 W of cooling. For applications that require a high level of temperature stability, one consideration is a hybrid approach — using vapor compression for the largest part of the cooling power — and a small TEC assembly for a high-level degree of regulation. Fig. 2 – Schematic of the vapor compression refrigeration cycle. Vapor-compression (VC) cycle refrigeration is a process wherein the physical properties of a refrigerant are utilized to realize isothermal, two-phase heat transfer to provide cooling with cost effectiveness. The resource being cooled releases heat in the evaporator, at which time a refrigerant absorbs heat — as it is converted from a liquid to a gas (see Figure 2). The compressor takes in the gas discharge from the evaporator and raises its pressure and temperature. The condenser takes in this superheated gas and condenses it from a gas to a liquid as heat is dissipated to the outside environment. In some cases, a condenser is designed to dissipate heat into a closed-loop liquid line, which is part of the manufacturing facility. This happens as the compressor is taking in gas discharge from the evaporator, raising its pressure and temperature, and allowing the condenser to take in a superheated gas. This gas condenses from a gas to a liquid while heat is dispersed to the outside atmosphere. The expansion valve draws the high-temperature liquid refrigerant and reduces its pressure and temperature. The low-pressure and temperature gas/liquid mixture surges into the evaporator — and the cycle repeats. The components in a basic refrigeration system include: compressor, condenser, expansion valve, and evaporator. Refrigeration systems effectively move heat from a cold source to a heat sink. Vapor compression refrigeration systems are very capable, with a predictable coefficient of performance between 1.0 and 2.5. For a 400-W heat load, the power draw would normally be between 400 and 160 W — this is 1600–640 W less than corresponding TEC systems. 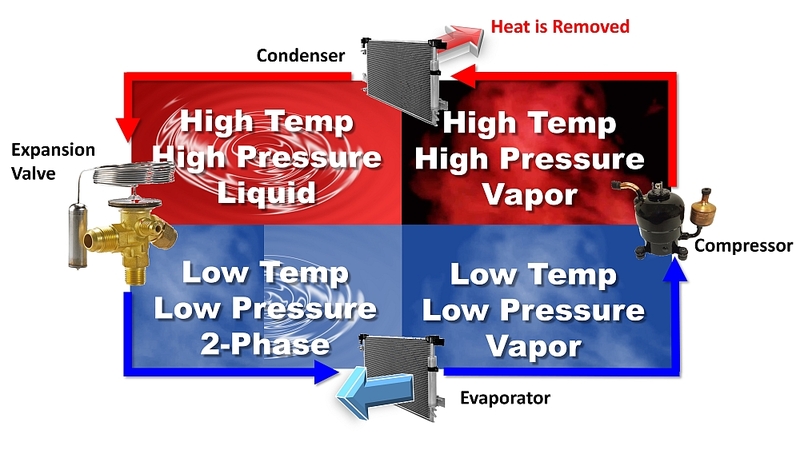 By differing the evaporators, the vapor-compression cycle can be used to cool air, liquid, or cold plates. Air cooling systems are created when the evaporator is a refrigerant to an air heat exchanger. Fig. 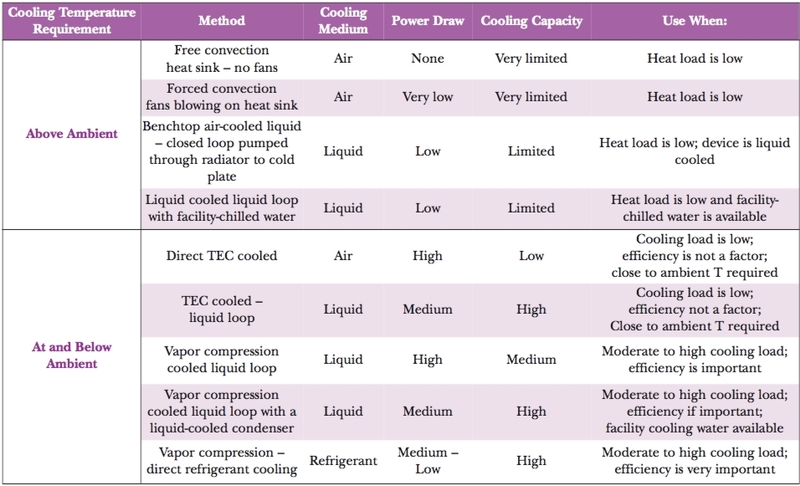 3 – Vapor compression examples for air cooling (a), liquid cooling (b), and direct refrigerant cooling (c). In 2007, a small rotary compressor was introduced and inserted into communications systems for cooling military electronics. 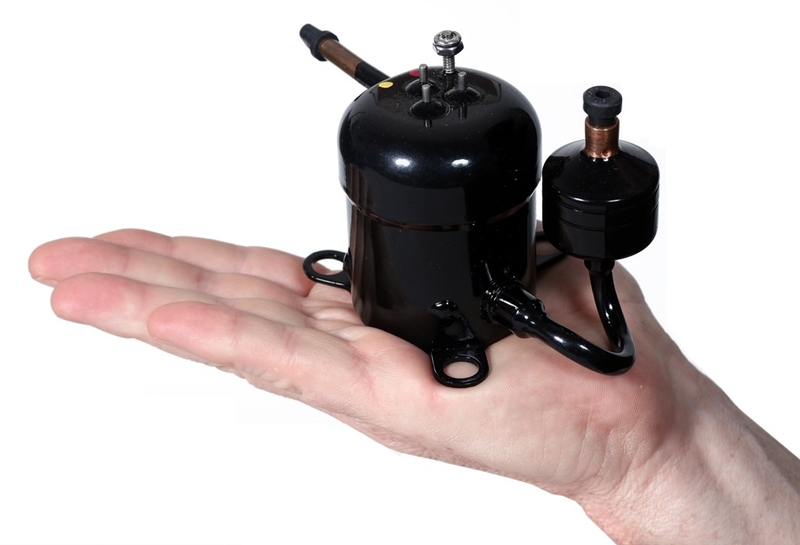 1 The compressor used standard rolling piston technology that had been miniaturized and coupled with a brush-less DC motor. With a speed variability between 2500 and 6500 RPM, the compressor could effectively load match to a preferred temperature. The small compressor enabled miniaturization of vapor compression systems into smaller forms and provided an effectual match with heat loads down to 100 W.
Liquid recirculation involves a mechanical pump, reservoir, tubing, and fittings. Nonetheless, even with the considerable improvement of system reliability, the liquid cooler remains the weakest link in the system. Pumps and fittings are known to break down, and leaks around electronics are known to cause failures. The fluid levels in these systems should be watched and occasionally refilled due to evaporation. It is suggested that an algaecide be used to avoid biofouling of the recirculating liquid line. Pump selection is crucial to ensure proper flow rate and pressure for the proposed application, and prices can vary from tens of dollars to over $1000, contingent upon the quality of construction. A common issue heard from manufacturers is that an end user, who may have spent $100,000 or more on their system, will purchase an untested low-cost chiller to save a few hundred dollars. The result is that when these chiller systems lose effectiveness — or fail — they cause downtime for the user and warranty concerns for the supplier. Another common complaint from users is that the chillers are unreliable and difficult to maintain. This feedback offers an opportunity for enhancement and upgrades. Fig. 4 – Improved efficiency of direct refrigerant cooling vs. liquid chillers. A thought-provoking, emerging new development being explored by some system and device manufacturers is direct expansion cooling. With this method, the refrigerant flows through the cold plate, with circulation driven by the compressor. This technique eliminates the need for a liquid recirculating pump, fluid reservoir, and associated tubing and connectors. With the removal of these parts, which are sources of failures and leaks, the device becomes exponentially more reliable. Additional productivity results when eliminating losses associated with cooling a liquid and the energy savings of driving a pump (8 times less vs. TEC and 2 times less vs. liquid chiller). 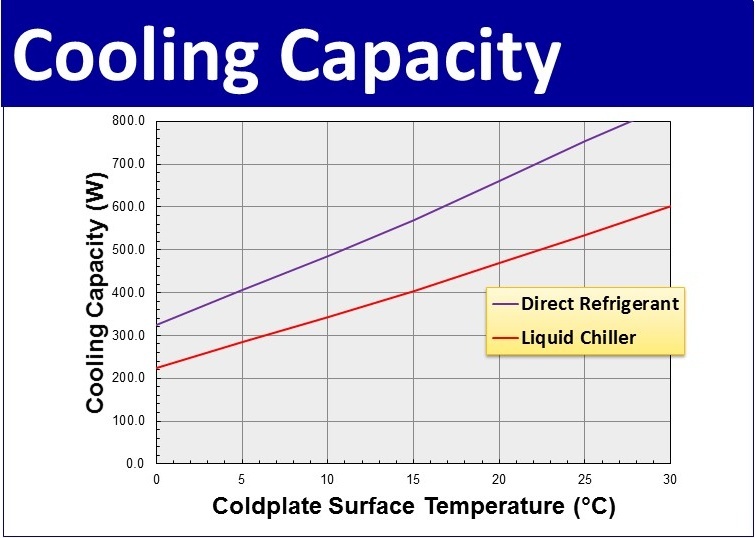 The cooling capacity for direct refrigerant is 25 percent over and above a liquid chiller at 25 °C (see Figure 4). The system is simplified, expanding reliability (MTBF >80,000 hours) and further diminishing the size of the cooling system. attaining appropriate control of medical device temperature tolerances. In a standard direct expansion cooling system, copper tubing is rigidly connected from the compressor to the cold plate, allowing vibration to transmit along these lines. A successful method of countering this issue is the use of flexible refrigerant lines that can decouple the compressor vibration from the medical device. It is important to use refrigerant line quick disconnects that have been designed to prevent air ingress and refrigerant leakage because they have been designed specifically for use with refrigerant lines. They are an easy way of disconnecting the two lines and, most importantly, will maintain system integrity. Increased control over the medical device temperature can be reached by coupling the medical device controls to the refrigeration system controls. By so doing, any thermal lag in the direct refrigerant system can be overcome by the control system. However, this degree of controls integration is unnecessary with much larger liquid chiller system — since they can make use of the fluid reservoir (and its innate heat capacity) to sustain tight thermal control. Miniature refrigeration technology is now expanded for effective application to medical device systems that employ active cooling with high efficiency. These systems are being custom designed to meet OEM and end-user requirements, resulting in an extensive selection of medical device thermal management applications. Applying direct refrigerant cooling miniaturizes the cooling system and improves production and dependability. Designing thermal management into medical devices will always present unique challenges. It is important to remember that there are a variety of solutions are available to ensure that devices meet critical cooling requirements. Everything from simple fans or liquid cooling to compact refrigeration systems can help meet these challenges. It is essential to understand the cooling system choices available as well as the factors that help determine the best cooling system design for the application.